Breitbart Sports reported last week that Sefolosha plans to sue the NYPD for $50 million. On October 9, a jury found Sefolosha not guilty on charges of misdemeanor obstructing government administration, disorderly conduct, and resisting arrest stemming from an incident outside a New York City nightclub that left the Atlanta Hawks swingman with a broken right leg. On April 8 Sefolosha and his teammate, Pero Antic, headed for 1 Oak, a popular New York City club, arriving at 2:30 a.m. Also at the club was Indiana Pacers forward Chris Copeland, who was a participant in a scuffle at around 4:00 a.m. that resulted in an attacker stabbing Copeland in the stomach. 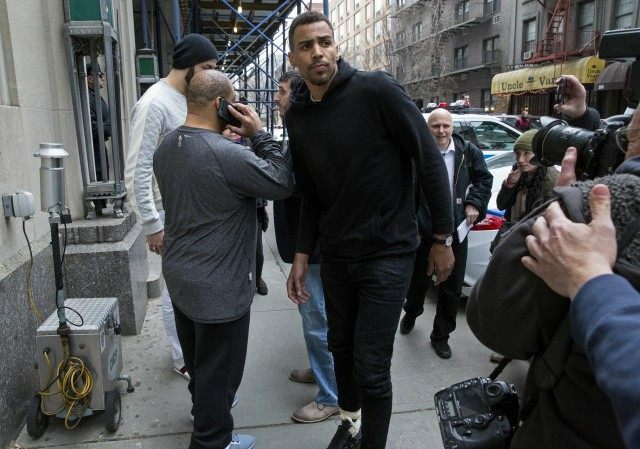 Afterward Sefolosha and Antic gathered on West 17th Street outside the club along with hundreds of people. GQ reported that two TMZ cell phone videos show at least five officers violently forced Sefolosha, in a black hoodie, to the ground. On top of that one officer allegedly used a baton to hit him. Police officers at the scene claimed that Sefolosha hadn’t cooperated when they told him to leave the scene and became so aggressive that he “charged” at them.